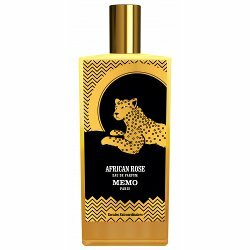 French niche line Memo has launched African Rose, a new unisex fragrance. African Rose is a flanker to 2015's African Leather. The notes include bergamot, cardamom, saffron, cumin, geranium, patchouli, oud & leather accords, vetiver, musk and rose. Memo African Rose is $500 for 75 ml Eau de Parfum. Beautiful bottle, but based on the price it must be real gold!